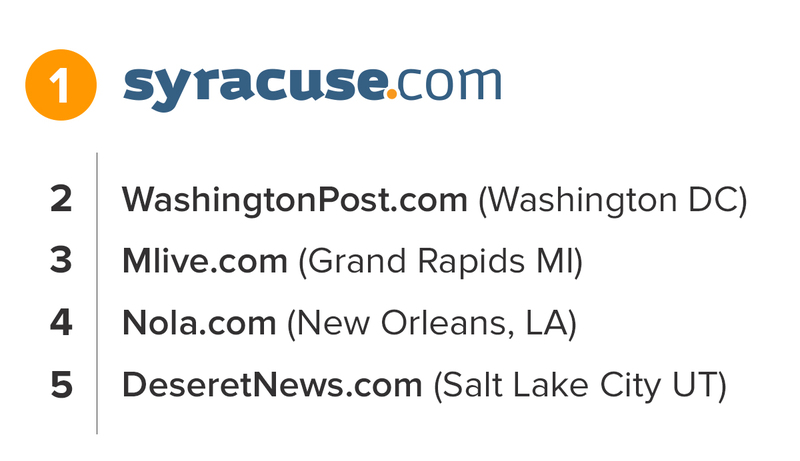 Syracuse, N.Y. — Syracuse.com, the online partner of The Post-Standard, is the nation’s top newspaper website in market reach. Syracuse.com ranked first in market penetration among 199 newspaper websites in the latest survey by the Nielsen Scarborough research firm. 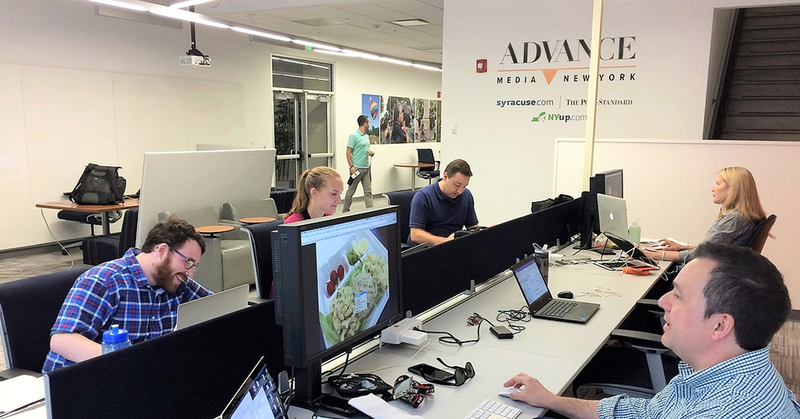 Over a 30-day period, syracuse.com reached 43 percent of the adults living in the Syracuse area, consisting of Madison, Onondaga and Oswego counties. Over a seven-day period, it reached 34.8 percent of adults in the area. Both were higher market penetrations than any other newspaper website in the U.S. The Sunday edition of The Post-Standard ranked second out of 190 Sunday newspapers in the Nielsen Scarborough. It was read weekly by an average of 46 percent of the Syracuse area adult population. SFGate.com, the website of the San Francisco Chronicle, ranked second among newspaper websites, with a 39.8 percent reach over a 30-day period. PennLive.com, the website of the Harrisburg (Penn.) Patriot, was third with a 39.6 percent reach. MLive.com, the website of the Grand Rapids (Mich.) Press, ranked fourth, with a 38.5 percent reach. Nola.com, the website of the New Orleans (La.) Times-Picayune, ranked fifth, with a 37.9 percent reach. PennLive.com ranked second, with a 31.9 percent reach, over a seven-day period. Nielsen has also named The Post-Standard #2 in the USA. 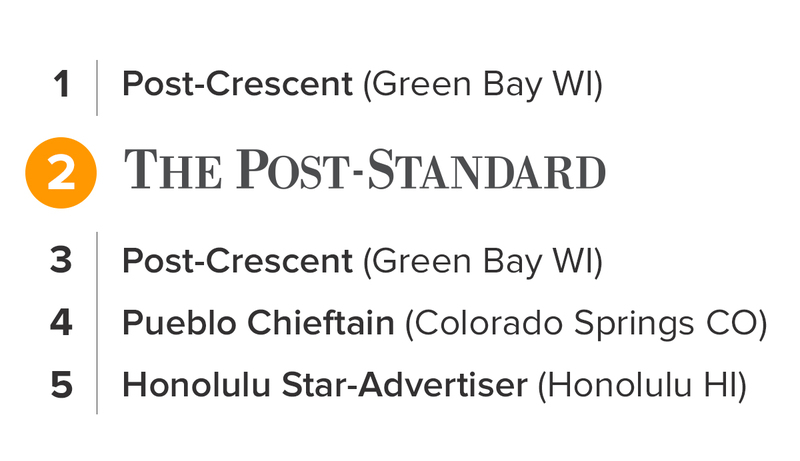 For the fifth year in a row, The Post-Standard has ranked in the top five in Nielsen’s annual report* for Sunday newspaper market penetration.